Professor Dan Kgwadi was born on 28 July 1967 at Kraaipan Village in the North West Province, South Africa. He is the current Vice Chancellor of the North-West University (NWU) and was appointed to this position as from April 2014. 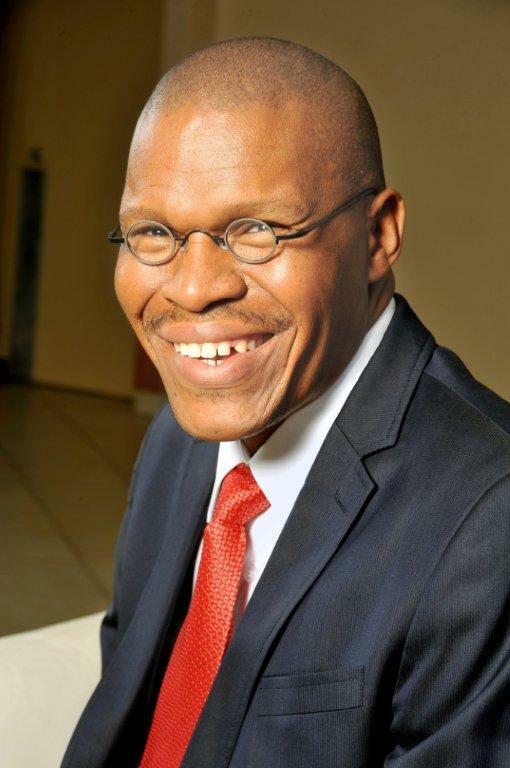 Prior to his appointment as the Vice Chancellor, Professor Kgwadi served as the first Rector of the North-West University, Mafikeng Campus. He started his term as Campus Rector on 1 January 2005. His leadership has been most profound as he continued to guide the Campus through the challenges of transformation and a changing environment. With unwavering determination, he guided the campus and facilitated its transformation to a stable and diverse campus with a vibrant academic and student life as well as financial stability. Through his management skills, he established good relations and partnerships for the campus locally and internationally. His career reveals a deep commitment to academic excellence, community services and partnerships with public and industry. He is passionate about empowering motivated and underprivileged youth. To this record, he sponsored some students through college and university education. Prior to his position as the Mafikeng Campus Rector, Professor Kgwadi served as senior manager/ assessment coordinator at the National Nuclear Regulator; the Head of Physics department at the Vaal University of Technology; Lecturer and Head of Physics department at University of North-West; research and teaching assistant at Ball State University and a physics teacher at Phatsima high school. He obtained the Educational Opportunities Council scholarship, (EOC), the United Nations scholarship, a work-study scholarship (Ball State University) to pursue his physics studies in the USA. In recognition of his high scholarship in physics he was admitted to the sigma-pi-sigma honour society. He has been a member of numerous professional bodies and chaired the education sup-group of the South African Institute of Physics (SAIP). Professor Kgwadi supervised and served as an external examiner to Masters and PhD students in the fields of physics education and radiation physics. In spite of his tight schedule as campus rector, he continued to teach a first year physics class in following his passion to teaching and mentoring budding academics and leaders. He is a member of UMALUSI Council and serves as a Chairperson of the Assessment Standard Committee. Due to his courageous character, Professor Kgwadi completed a sky-diving course and obtained a sky diving certificate for successful jumps from the American parachute association. Like a real traveller, Dan Kgwadi does not believe in arriving.